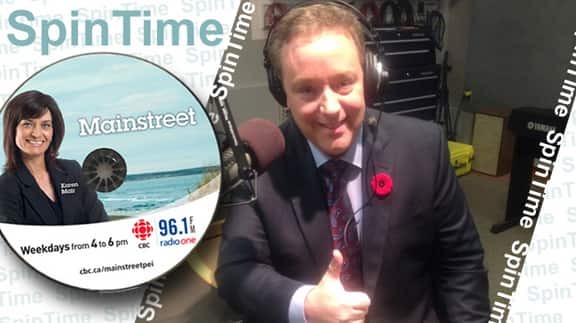 Today on SpinTime, a woman who has impersonated a few singers (Celine Dion and Win Butler from Arcade Fire), not to mention being a Real Housewife of Town and an anchor keeping a straight face while conduting hilarious interviews on This Hour has 22 minutes. 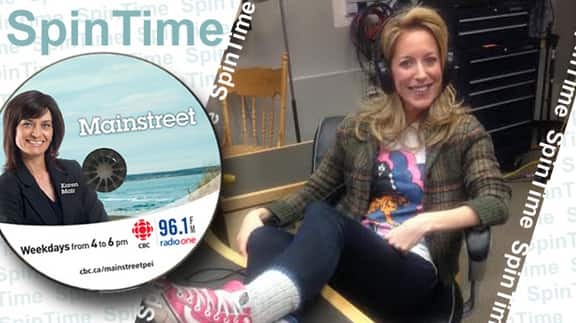 Susan Kent is on the Island to tape a couple of 22 minutes sketches and she's joining us as DJ on SpinTime. Here's some links to her picks. These are exciting times for Bruce Rainnie - He's a TV anchor, a sportscaster, an author and a trivia nut. He's celebrating 10 years hosting Compass, made a big donation from the profits of his book today and he's finally getting to pick the tunes on SpinTime. Kevin O'Leary is one of the Dragons on Dragon's Den. He's probably the least loved Dragon, but he's showing his generous pay-it-forward side. He tells us how the Future Dragon Fund Contest could reward entrepreunerial students in grades 11 and 12. We reached Kevin O'Leary in his den. 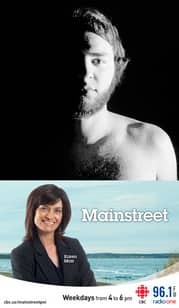 You can see tonight on CBC Television. Click here for more information on the Future Dragon Fund Contest.